2D or 3D Grading Systems: How do you know what you need? Grading technology is getting plenty of buzz these days. People who use it swear by the benefits. No doubt about it—this technology can help you make more money. But when there are so many options available, choosing the right system can be confusing. If you’re considering an investment in grading technology, take a minute to learn the basics. A quick review of the fundamentals will help you make the right decision for your business. 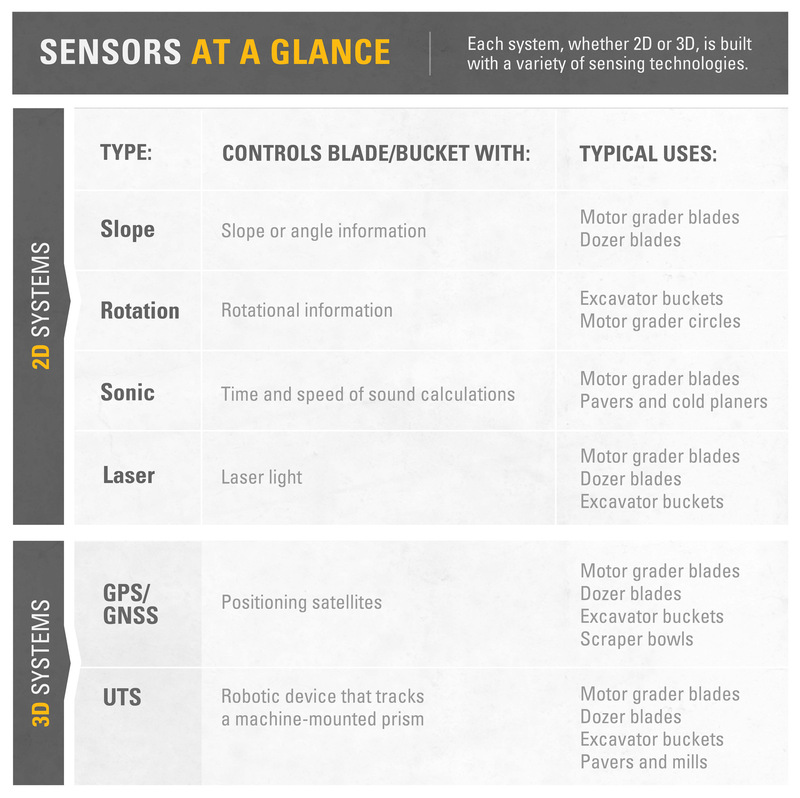 Cat® GRADE technologies perform two key functions. 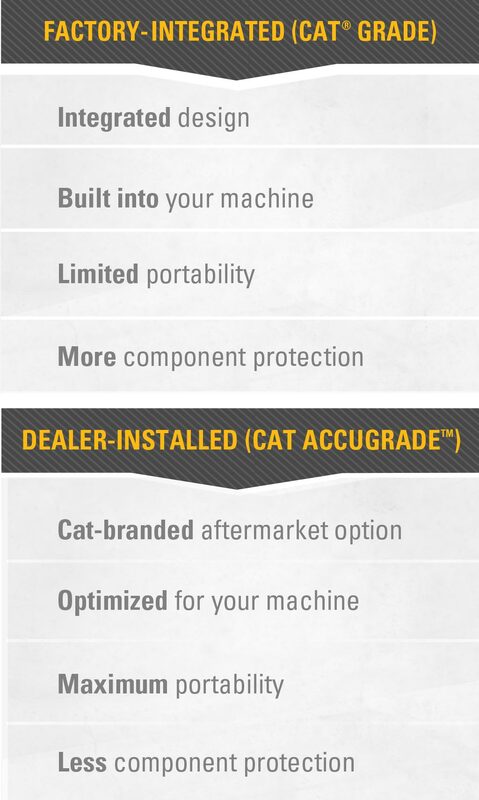 Your Cat dealer will help you select a system with the functions you need. Every situation is unique, but studies show Cat GRADE technologies can improve productivity by up to 50%—and pay for themselves in about 6 months. 2D vs 3D: What’s the difference? You may depend on GPS for driving directions, but that doesn’t mean you need it on your dozer. 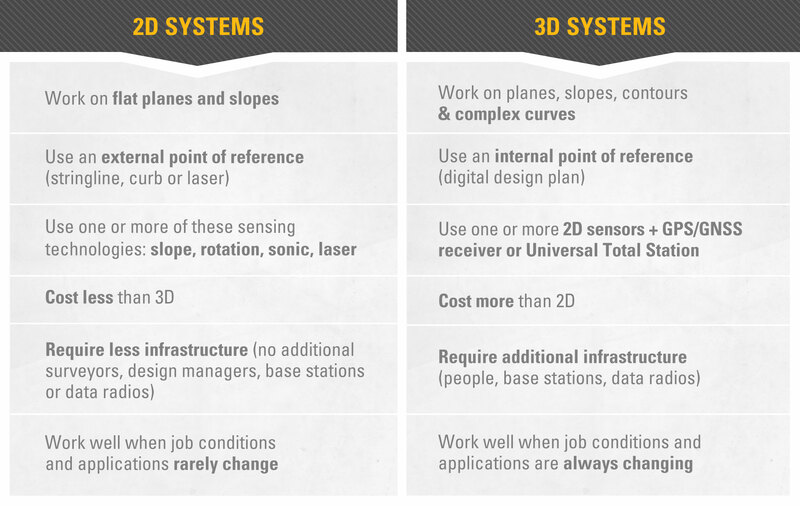 2D systems are simple, less expensive and easily upgraded to 3D. So before you make any decisions, talk it over with your Cat dealer. 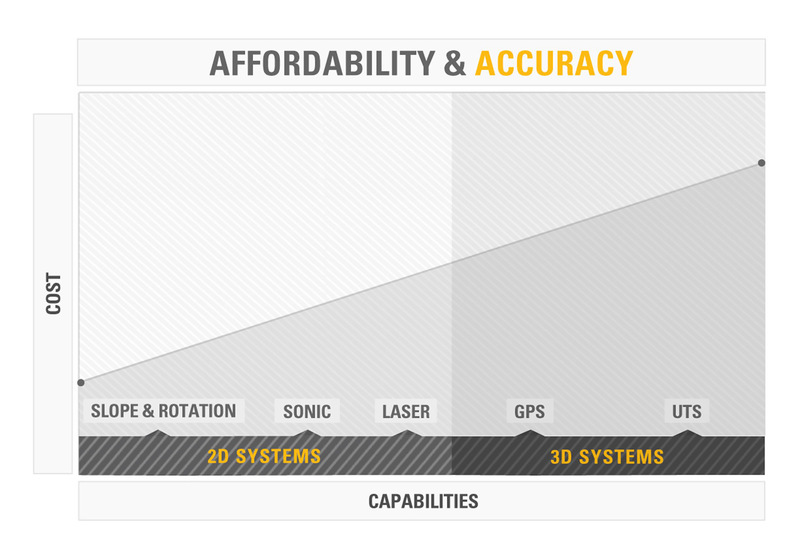 Rule of thumb: the more capabilities a system has, the higher its price tag will be. Another choice to make with help from your Cat dealer. It’s a big decision. Your dealer can help. If you’re in the market for a grading system, have a conversation with your Cat dealer. Together you can explore all the factors that affect your decision. Whether you choose 2D or 3D, factory-integrated or dealer-installed, you can be sure this technology will help you improve safety, productivity and profitability.